DENVER – Delivering on its mission to spread its unique brand of Low Fares Done Right across the U.S., low-cost carrier, Frontier Airlines announced service on nine new routes and the addition of two new cities. Frontier will bring its low fares to Norfolk, Va. and Wichita, Kan. In August, the carrier will continue its rapid growth at Jacksonville International Airport with six new flights, doubling the number of destinations served from JAX and makes the Airline the largest airline in JAX by destinations served. 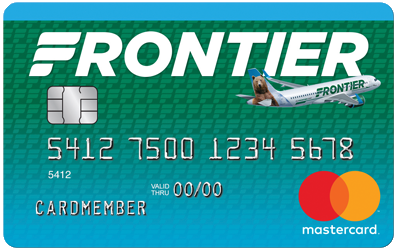 To celebrate the addition of these new routes, Frontier is offering special introductory fares as low as $29 available now at FlyFrontier.com. F9 1459 Depart DEN: 6:05 a.m. Arrive ORF: 11:30 p.m.
F9 273 Depart ORF: 6 p.m. Arrive DEN: 8:08 p.m.
F9 186 Depart DEN 2:40 p.m. Arrive ICT: 5:09 p.m.
F9 187 Depart ICT: 6 p.m. Arrive DEN 6:39 p.m.
F9 1416 Depart JAX: 2:35 p.m. Arrive BUF: 4:44 p.m.
F9 1417 Depart BUF: 5:35 p.m. Arrive JAX: 9 p.m.
F9 811 Depart JAX: 7:50 a.m. Arrive MCI: 9:26 a.m.
F9 810 Depart: MCI: 10:16 a.m. Arrive JAX: 1:41 p.m.
F9 763 Depart JAX: 8:45 p.m. Arrive LAS: 10:25 p.m.
F9 763 Depart JAX: 5:55 p.m. Arrive LAS: 10:35 p.m.
F9 762 Depart LAS: 11 p.m. Arrive JAX: 6:20 a.m.
F9 815 Depart JAX: 2:30 p.m. Arrive MKE: 3:53 p.m.
F9 814 Depart MKE: 4:43 p.m. Arrive JAX: 8:01 p.m.
F9 1165 Depart JAX: 8:05 a.m. Arrive MSP: 10:20 a.m.
F9 1164 Depart MSP: 11:10 a.m. Arrive JAX: 3:13 p.m.
F9 1875 Depart JAX: 2:45 p.m. Arrive STL: 4 p.m.
F9 1874 Depart STL: 4:50 p.m. Arrive JAX: 7:55 p.m.
F9 1459 Depart MCO: 3:15 p.m. Arrive ORF: 5:10 p.m.
F9 273 Depart ORF: 12:20 p.m. Arrive MCO: 2:25 p.m.
Travel from Florida is valid Tuesday through Friday. Travel to Florida is valid Sunday through Wednesday. Travel from Denver is valid Tuesday through Thursday and Saturday. Travel to Denver is valid Monday through Wednesday and Saturday.